In his own house in Beaumont-du-Périgord, Royaux favored the Louis XVI style, his favorite over all for its respect to the Age of Enlightenment. Christies Images Ltd, 2019. PARIS.- Christies France announced the sale of the collection of one of the most prestigious and influential decorators of the 20th century, Serge Royaux (1924-2016). Nearly 400 lots gathered over several decades by this passionate decorator will be offered on April 17th including drawings, furniture, decorative arts as well as some of his own creations. Jean-Louis Gaillemin, Art Historian: Proponent of a modern classicism, re-discoverer of Art Deco, scenographer of public collections (Lehmann halls at the Metropolitan, Rijksmuseum, Musée des Arts Décoratifs in Paris), Serge Royaux also had a "sense of the Palace" as André Malraux said of him: as demonstrated by his work at the Trianon for General De Gaulle. He also knew how to highlight the collections of his private clients, in always very architectural settings. Ranked among the top 100 decorators by Architectural Digest in 1990, it has now become a legend for the younger generation. Serge Royaux, born in 1924, first joins Les Beaux Arts before realising that it will only bring him limited perspectives. He chose to follow courses at LEcole du Louvre and the Arts Décoratifs simultaneously to acquire all the knowledge needed to become what he desired the most. From the age of 11, he wanted to be a decorator, says his wife Anne met at LEcole du Louvre. Over the years, this designer will gain the recognition of Culture Minister André Malraux. He has such an esteem for his talent that, when he entered the government, Malraux will name Royaux as chargé de mission at the Mobilier National in 1961, creating a special position for Serge. 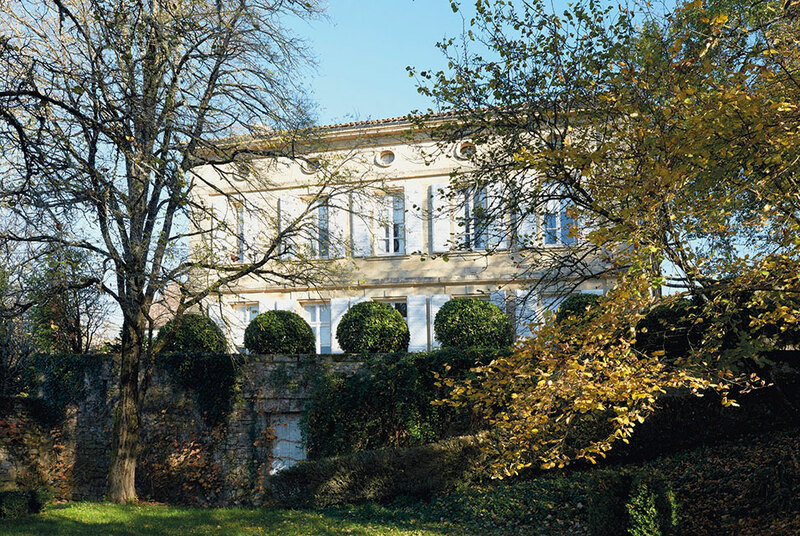 Royauxs received several commissions for very esteemed clients from all over the world, including the Villa Bettencourt, the private apartments of Cristobal Balenciaga, the politician Achille Perettis house, Le Musée de LOrangerie, the Grand Trianon at the Palais de Versailles and several French Embassies around the world. In his own house in Beaumont-du-Périgord, Royaux favored the Louis XVI style, his favorite over all for its respect to the Age of Enlightenment. He always wished to melt his decorations into the architectural context. The place counted first, my name did not have to interfere. Most of the places I was entrusted with, had several storages with different objects that I used said Serge Royaux. When he was working for museums, Royaux discovered beautiful pieces of furniture from the 1920s by Jacques-Emile Ruhlmann. I was very much attracted by the furniture created at that time, they were made by cabinet makers and not by manufacturers. The collection of this chevalier of the legion of honor will starts off with numerous drawings. From portraits by Rosa Bonheur to Roman ruins by Jean Fragonard (4,000-6,000), the drawing section will offer a large range of works. As Serge Royaux was very fond of architecture, collectors will also be pleased to discover several architecture drawings from the 18th, 19th and 20th centuries including a beautiful ensemble of drawings by the 19th and 20th centuries French school including one by Antoine Laurent Thomas Vaudoyer (estimate for the group: 3,000-5,000). An important double portrait by Paul-César Helleu will also be offered in the sale. Representing two men, this work executed with graphite, red chalk, charcoal and heightened with white and red gouache is estimated at 6,000-8,000. In the Decorative Arts section, the collection will offer several pieces of furniture such as a Louis XVI ormolu-mounted mahogany commode stamped by Joseph Stockel from the last quarter of the 18th century (4,000-6,000), or a beautiful Louis XVI cream-painted beechwood canopy bed from the last quarter of the 18th century with a romantic light pink toile de Jouy (2,000-3,000). As Serge Royaux loved to create decorative objects himself, the collection includes several homemade works of art from coffee tables to pilasters, side tables to folding screens. The sale also includes numerous decorative obelisks including one pair in granite measuring more than 100 cm. high (1,000-1,500). As Serge Royaux enjoyed receiving guests, he enjoyed creating different ambiances. He assembled numerous porcelain dinner services to create special atmosphere for his guests. Offered in the porcelain section, collectors will discover a 19th and 20th century Majolica composite group of dinner services wares with flower motifs (800-1,200).